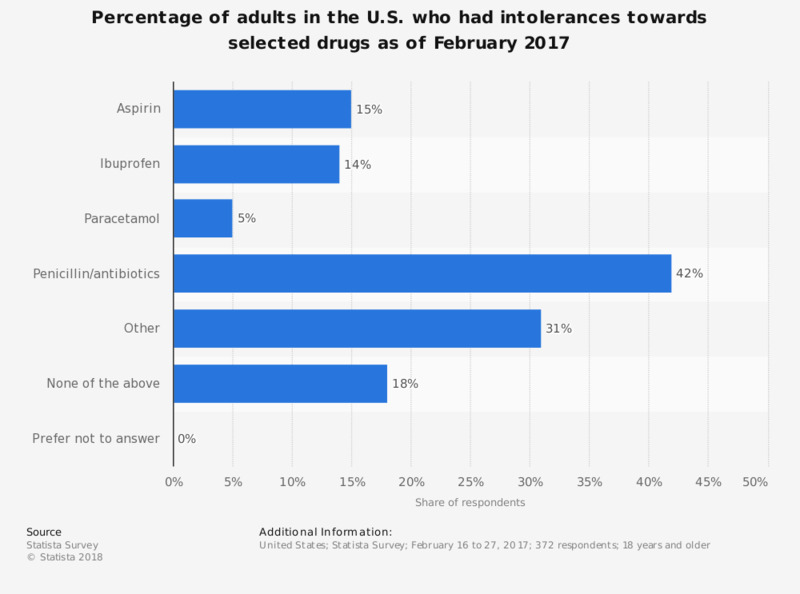 This statistic shows the percentage of adults in the U.S. who had intolerances towards selected drugs as of February 2017. It was found that 15 percent of all respondents were allergic to aspirin. All respondents were aware of their intolerance to certain drugs.